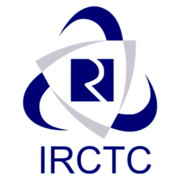 IRCTC Recruitment 2019 - Walk-in for the post of Supervisor (Hospitality) in Andhra Pradesh, Telangana, Maharashtra, Odisha, Chhattisgarh on Contract Basis. Candidates are invited by IRCTC (Indian Railway Catering and Tourism Corporation) to attend walk-in-interview to be held on 16 & 19 Feb 2019 from 10.00 AM to 01.00 PM for 50 vacancies. For Gen/ UR Candidates 30 years as on 01 Jan 2019. Andhra Pradesh, Telangana, Maharashtra, Odisha, & Chhattisgarh.